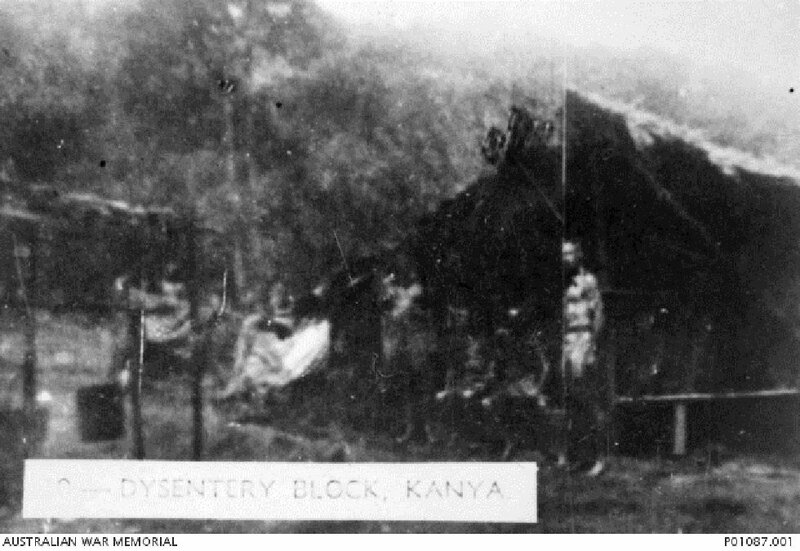 'Dysentery Block' of a makeshift hospital set up in tents at Konyu 2 POW Camp (later known as Malayan Hamlet) on the Burma-Siam Railway, where H Force POWs were imprisoned. This photograph is number 10 in a series marketed by the Far East Picture Company and originating from material used in the Rabaul War Crimes Trials, taken July 1943. Image donated by H. Clarke, provided courtesy of James Bunning, Australian War Memorial. The defendant ill-treated and beat POWs while they were working on construction of a railway and sent sick prisoners to work in defiance of the advice of the POW medical officer. This 1-day trial was the shortest trial in the history of war crimes cases in Malaya and the first to be held in the Victoria Memorial Hall. 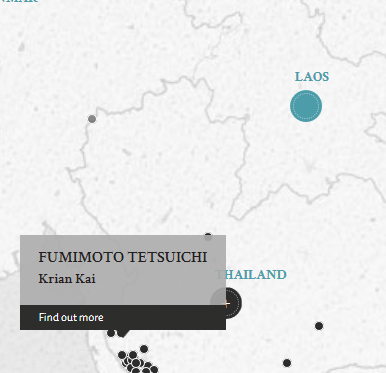 Fumimoto, Tetsuichi. Korean Guard. From Japanese military. From Korea. Guilty. Death by hanging. Sentence reduced. 10 years' imprisonment. Hughes, H. Captain. From British military. Prestt, A.H. Major. From British military. Student member, Middle Temple. Akazawa, Shoji. Prosecutor Nagoya District (Advocate), Japan.